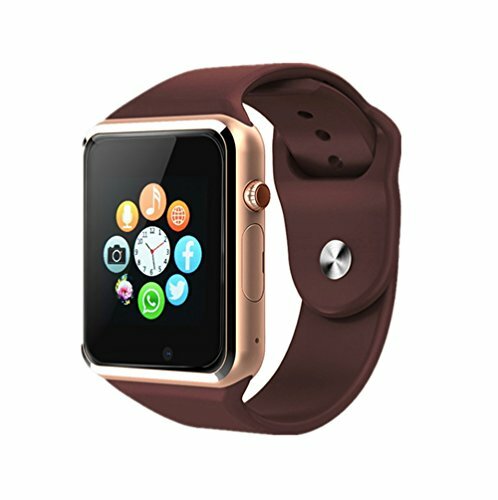 The A0 smartwatch is very sensitive and multi-functional, and all the functions are as follows:phone calls,messages,call records,phone book,bluetooth,notification sync,remote camera,anti-lost,pedometer,sleep monitor,sedentary reminder,alarm clock,calendar,calculator,profiles,music player,file manager,camera,sound recorder, whatsapp,facebook,twitter, browser. 5 After that you have paired your phone with the watch, the Bluetooth will connects automatically. 1． Charging time 1-2 hours, can work 1-2 days. 2． TF card supports up to 16G (not included). 4． There are no Apps that are compatible with IOS iPhone, which can only be used as a Bluetooth device, which only supports three functions via Bluetooth: make and answer calls, music player and phone book. COMPATIBILITY:perfectly compatibile with Android tablets PC and smartphones(4.4 or above), such as Samsung, Huawei, SONY, MOTOROLA, OPPO, XIAOMI, ZTE, LG, HTC, etc.IOS system, iPhone (there is no app for iphone). FITNESS FUNCTION: sleep monitoring,sedentary reminder,pedometer,record your daily steps ,fat,speed and mileage. HD SCREEN:240 x 240 pixels resolution.1.54" high-definition TFT LCD.high sensitive capacitive touch screen. If you have any questions about this product by aimion, contact us by completing and submitting the form below. If you are looking for a specif part number, please include it with your message.